Artichokes are just so absolutely gorgeous when they flower! One of my favorite ways (and easy!) to eat artichokes is to steam them! 1. Cut of the tips of the leaves: Artichokes normally have little thorns on the ends of their leaves, so cut off the tips. 2. Slice off 3/4 of an inch off the top of the artichoke with a serrated knife. 3. Cut off excess stem and leave up to an inch on the artichoke or if you like how the stem tastes then just cut of the very end of the steam. The inside of the stem can taste bitter. 5. In a large pot, put a couple inches of water, the garlic, a slice of lemon, and a bay leaf. Insert a steaming basket. This time of year is great for getting out in the garden! But it can be rough on our hands. Care for your hands by making your own Gardener's Salve from the Mountain Rose Herbs blog - click here. 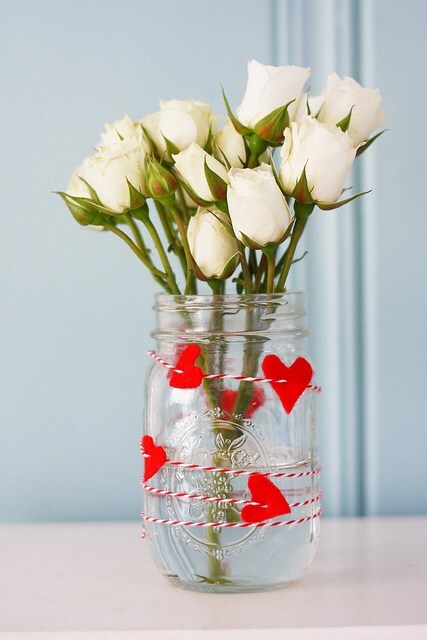 We found this great DIY Felt Heart and Twine Mason Jar Vase step by step on theprettybee.com. Love how simple and sweet it is and makes the flower bouquet pop. It’s spring season which means the perfect time to plant tomatoes! Tomatoes contain beneficial nutrients and antioxidants. They are also a rich source of vitamins A, C, and folic acid. To grow tomatoes keep in mind that they need at least six to eight hours of sun. They need support so purchase a trellis or stake (larger the better) so your tomato plants have room to grow vertically and be kept off the ground and give each plant plenty of room to grow. It’s good to water your tomato plants by soaking the soil (not leaves) once a week or possibly more frequently when it is very hot. Harvest your tomatoes when they have reached their full size and color! To keep it sustainable and healthy, be sure to grow heirloom or non-GMO tomatoes - seeds will be available at any greenhouse or nursery. I have dry and acne prone skin and when I need a pick me up and a face mask that won't irritate, dry me out, make me break out, etc- I turn to this gem. That said- this is a great mask for all skin types that is EASY, AFFORDABLE, and only takes 15 minutes! So why not give it a try? Honey is an incredible ingredient- it's naturally moisturizing and antibacterial (which makes it fantastic for getting rid of pimples). Cinnamon is fantastic for getting rid of pimples as well and stimulates the skin while it gently sloughs off dead skin cells. Splash your face with warm water and pat dry with a paper towel. And that’s it! I like to do this face mask every two to three weeks. If I am feeling like I’m breaking out a lot I may do more but it’s always good to pay attention to how your skin is feeling. 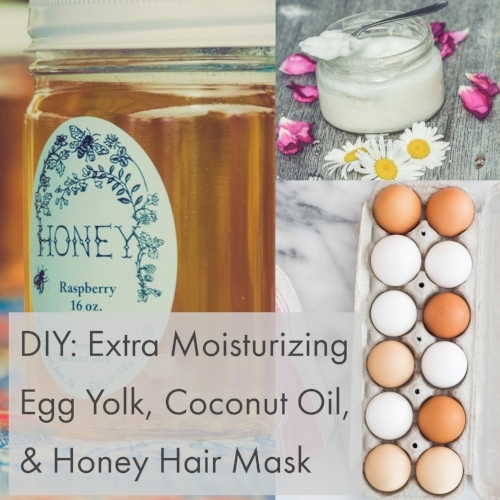 What’s your favorite DIY face mask? Let us know! Herbal bathing is a soothing and therapeutic self-care ritual. When you are immersed in warm water, pores are open and receptive to the healing properties of the herbs in your bath. You can customize your bath so it’s perfect for what you need that day: to relax, invigorate, soothe tired muscles, soothe cranky skin, etc. Sore muscles? Add plenty of epsom salts. Add fresh or dried herbs or flowers like rose petals, lavender, even rosemary. Make sure to use plants that have not been sprayed or treated with anything you wouldn't want in your bath! Add essential oils for even more botanical benefit. Lavender to relax. Rosemary and spearmint to give you a lift. Eucalyptus and a drop of peppermint to breathe easy. Sandalwood and jasmine for romance. Try your own combinations! What are your favorites? Growing rosemary is easy- plant at the beginning of spring or in a pot indoors. Rosemary prefers drier environments so it's important that when you water to allow the soil to dry in between waterings. Plant in full sun as rosemary, like many herbs, needs at least six to eight hours of sunlight. Rosemary is hearty and drought-resistant and does well year-round in mild climates. However, if temps remain below freezing consistently, plant in pots and bring indoors when it's very cold. Bring them inside and toss a few sprigs in with potatoes, olive oil, salt and pepper. Roast and enjoy!